With hundreds of items to choose from Tibard caters to a variety of sectors so you can rely on us for your workwear needs. You’ll find a Tibard uniform in establishments all around Oxford; our quality garments can create a cohesive look for your business. With such a wide variety of items currently available on the Tibard website, we have plenty of uniform solutions to suit your industry. 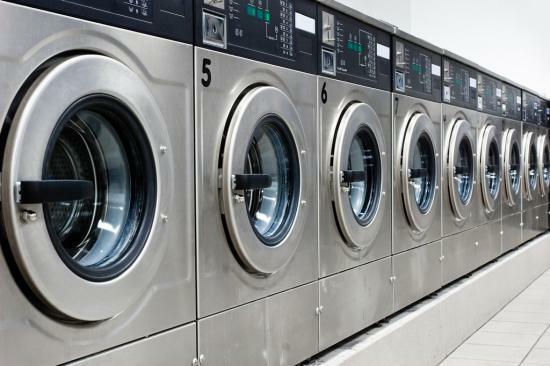 And to ensure your staff is always looking their best we also provide commercial laundry services in Oxford as well. With so much choice and the best prices on the internet, Tibard is the ultimate place to buy your workwear in Oxford, Bicester, Abingdon and Didcot. We have thousands of excellent quality products which can be used as workwear or as uniforms for staff, and we already specialise in providing these items to some of the UK's largest chain businesses, having done so since 1979. Our website is designed to be used for any size of order, so you can benefit from Tibard's great prices and excellent service no matter who big or small your needs are. Those who do place large orders can be sure to save plenty of money through bulk buying, and we also offer free delivery on order over £50 in the UK. The easiest way to get a uniform that is somewhat tailored to your businesses look is to invest in workwear embroidery or a personalised uniform, all of which you can do online. This allows you to add a logo to almost all of the items that we sell which means that customers can quickly spot your staff and you can also promote your products and services while on the job. Tibard can do anything with uniforms and clothing, all we need is for you to get in touch and let us help you stand out and save money at the same time. If you’re working in the hospitality industry whether that’s a catering company, holiday park or hotel you’ll know how important a uniform is for the look and reputation of a business. Therefore you’ll be pleased to know that Tibard provides such a wide variety of clothing for you to choose from. High-quality pieces are available throughout all categories on the Tibard website starting over thirty years ago when we created the high-quality, durable and functional chef jackets that are now used in the kitchen all around Oxford. Although it is perfectly easy to buy an extensive range of staff uniform on our website, we generally like to talk to those businesses in Oxford, Witney, Aylesbury and Marston about their large workwear or uniforms needs. This is why we offer a series of helpful and money-saving services that take over the management of your uniform needs and help provide logistical support to companies with multiple locations and large workforces. Our managed uniform service is tailored directly to your business's needs and will allow everyone in your workforce to get easy and quick access to the essential workwear that they need to carry out their roles within the business. Some of the largest Oxford-based companies will be very interested in having a uniform designed for them which is bespoke to their needs and brand image. Our uniform design service will allow you to work with us to create the right items with the best look and style to match your business which we can then manufacture in our UK based facility.